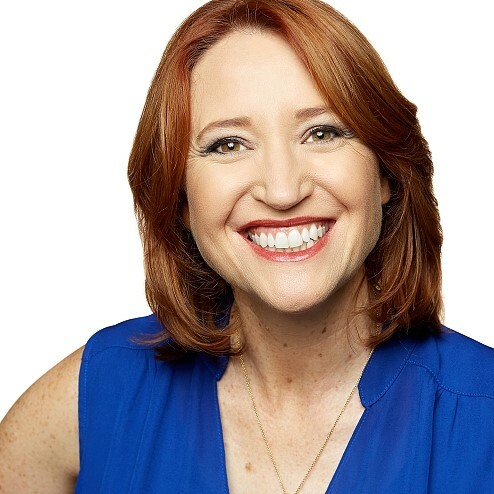 In this guest post, Marketing to Mums founder and CEO Katrina McCarter (pictured below), provides an insight into Aussie mums and what marketers can to earn their attention. How do you feel about the fact that 63 per cent of your target market feel misunderstood them? Even worse, they are responsible for more than 80 per cent of consumer spending decisions. Who are they? Mums, women making buying decisions for themselves, their families and influencing one another’s buying choices. I will be speaking about the key mistakes and what Aussie mums want from brands at the upcoming Mums Marketing Conference in Melbourne and Sydney in October and November. Mums are the powerhouse of the Australian economy, yet they remain the most misunderstood, misrepresented and undervalued consumer segment in the country. With more than 6.2 million mums in Australia responsible for spending $132 billion every year, marketers who ignore mums do so at their peril. The latest research by Marketing to Mums revealed that brands are failing to connect with mums – that figure of 63 per cent represents the percentage of Aussie mums who believe that advertisers don’t understand them. There is growing dissatisfaction from mothers around the country who are fed up with the lame, irrelevant marketing efforts being directed at them. This growing disconnect between advertising and mums’ reality is, in part, explained by recent AdNation research which revealed the people working advertising agencies are young, tech-savvy and less likely to have children than the average Australian. How can these people manage to relate to the day to day life of a mum, create campaigns that appeal to her, communicate with her and maintain a good brand relationship with her? It is of vital importance for the success of brands that they invest now in gaining a better understanding of the social media habits and communication style and preferences of Australian mothers. I’ve been studying mums for two decades. I have more than 15 years’ sales and marketing experience working across diverse industries including grocery, hardware and online – always targeting mums as the purchaser. I also have a Bachelor of Business (Marketing) and an MBA (International Business). However, my real learning happened when I became a mother myself. I left my corporate role to enjoy a five-year career break to raise my three children. As a stay-at-home mum, I spent hours in the park listening to the frustrations and challenges facing mothers. Six years ago, I launched an online shopping platform for mums called Bubbler.com.au. I grew this to a community of 150,000 mums before selling late last year. During this time, my insight into Australian mums really accelerated and I gained a deeper understanding of mums’ lives. I learned how to engage mums to build a community, communicate effectively with them through social media and convert them into a sale. Working with closely with brands, I saw the struggles they had in managing to genuinely connect and sell to mums. I kept seeing the same problem over and over again: prospective clients needed customers fast, but didn’t have the expertise to sell to mums. Their poor ROI proved that they didn’t have a clear understanding of the type of mum they were targeting. In late 2015, I launched Marketing to Mums, a marketing and research consultancy specialising in helping businesses drive sales within the mum market. I work with brands as their resident mum expert, using my expertise and information from my research to guide their plans. I review proposed marketing strategies, facilitate strategy workshops, train marketing and sales teams and speak at conferences. Having identified and tested eight critical foundations any business which targets mums needs to have in place, I implemented these into the direct sales channel of a global beverage company, which experienced a 655 per cent sales increase on the same period last year. My book, Marketing to Mums, is based on these eight critical foundations. Quickly, the book was #1 on Booktopia’s Business bestseller list, outselling Simon Sinek, Timothy Ferris and Sophia Amoruso. As a result, I was invited to lead speak at the M2Moms (The Marketing to Moms conference in New York) – the industry’s leading learning event, attended by Google, Twitter and leading research organisations. I passionately believe there is a new way to communicate and sell to mums, delivering massive opportunities for businesses who get this right. In an Australian first, I surveyed over 1800 mums asking them how they wanted to be marketed to. The respondents were from different age, stage, work status and household income brackets, and all eager to share their views. I wanted to hear directly from Australian mums to better understand their social media habits, but more importantly – as no one had asked them before – how they wanted to be communicated with. I teamed up with Dr Kevin Argus, a leading marketing academic from RMIT University, to co-author the report and delve deeply into the thoughts and opinions of mums. The report is so valuable, as it hasn’t been done before here in Australia and features ground-breaking learnings for businesses wanting to target mums. We found that mums were eager to give advice to the marketing community. They identified nine mistakes that brands make with advertising and communications. I will be sharing what mums’ have identified on their ‘what not to do’ list and help brands better understanding how Australian mums want to be communicated at the upcoming Mums Marketing conference in Melbourne and Sydney. The report also identified that 91 per cent of Australian mums access their social media accounts daily, with a staggering 30 per cent of mums checking their social media accounts more than 10 times each day. Facebook is their favourite platform, representing an incredible opportunity for brands to connect with mums via Facebook advertising, building brand communities and developing a Facebook Live strategy. Sourcing genuine testimonials via print or video is essential, and it is important to turn on ratings and reviews on Facebook pages. It is also necessary to be able to generate ongoing new testimonials for mums to view, as these were the number one influence of their buying decisions. Mums in Australia are fed up with the way they are being communicated with by brands and increasingly taking action thanks to social media. Ignoring this growing dissatisfaction is commercially disastrous for brands. Astute marketers who take the time to gather deep insights about mums and work to earn their attention can deliver a significant commercial advantage in an increasingly crowded marketplace.